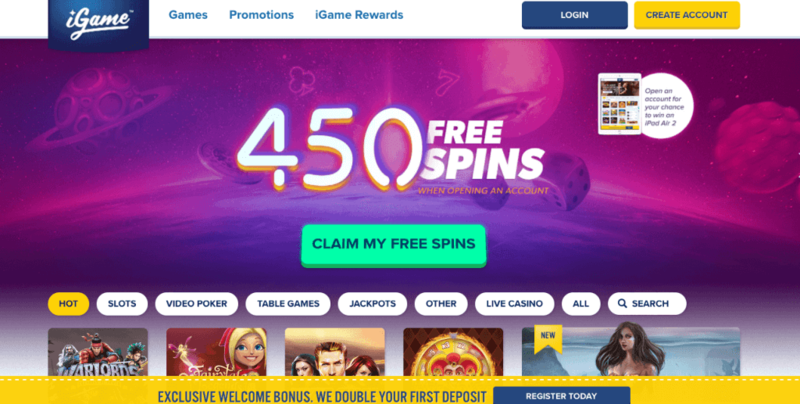 "iGame casino is European facing casino with the potential of becoming a real favorite amongst players." Registering at the casino is a breeze – everything is pretty self-explanatory. The wagering requirement for the sign up bonus is rather steep – but they have a pretty good loyalty program. A number of our members are expressing their appreciation in our forum concerning this. Frequent Player Points are earned according to one’s play history. 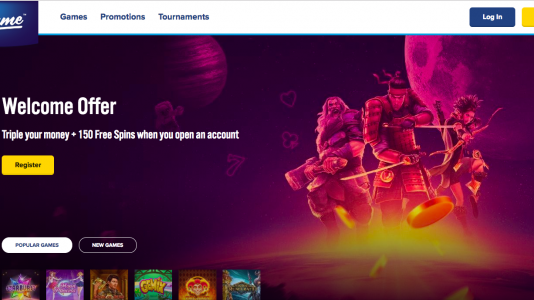 As you progress (they have four levels of achievement) you score not only points but free spins, and your wagering requirements decrease as your level gets higher. Downside of the casino is really not too much. There are also Specific country exclusions: access to some Games may be restricted in the following countries: Albania, Antigua and Barbuda, Argentina, Bahamas, Belgium, Bulgaria, Burma, Canada, Cape Verde Islands, China, Cook Islands, Croatia, Cuba, Cyprus, Germany, Ghana, Gibraltar, Greece, Guinea, Guinea-Bissau, Iceland, Indonesia, Israel, Ivory Coast, Japan, Laos, Liberia, Libya, Lithuania, Luxembourg, Macau, Macedonia, Malaysia, Mauritania, Mexico, Monaco, Morocco, Nauru, Netherlands, Netherlands Antilles, Nigeria, Niue, Norway, Poland, Portugal, Russia, Senegal, Serbia, Sierra Leone, South Africa, South Korea, Somalia, Sudan, Switzerland, Taiwan, Thailand, Turkmenistan, Uzbekistan, and Zimbabwe. coxwel: Their bonus rules are a bit sky high if you ask me, 70x wagering on the bonus amount. But in general their bonus rules are very upfront, no traps no endless complicated rules…(Deposited €10) After some hours of wagering through my playthrough of 700, I finished with an end balance of 520€, requested a withdrawal back to Neteller and went to sleep. As I woke up, funds have already been paid to my Neteller. Nate:: Had a few decent matches on my loyalty level , a SUPER out of the blue No Deposit Bonus plus a 100% match up to 500 Euro. I’m sure they were not specially tailored for me (Or maybe they were? ), but I was impressed at the loyalty system nonetheless – I have not played there much in the past either! Respin_Ftw: I had my biggest single cashout ever of 7500€ paid out very fast so this is a good casino. iGame casino – located in sunny Malta is an excellent European facing casinos that hosts NetEnt and Quickfire games. It’s a young company with a number of experienced managers dealing with both players and affiliates.